Tai Chi Chuan is an amazing Chinese martial art form, which is hundreds of years old. This is Tai Chi, but the FULL syllabus of Tai Chi; hand form, weapons form, pushing hands and san shou. Plus a little QiGong thrown in for good measure Come learn with us. If you live in Belper, Wirksworth, Milford, Duffield or Derby – Derbyshire, the dojo in Milford is commutable for your weekly Tai Chi Class. 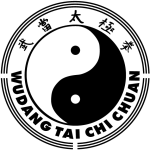 In my experience students aged 18-60 can deal with the strenuous nature of Wudang Tai Chi Chuan and so our focus is towards this age group. If we are popular, and our new school gains momentum, there may be the possibility of a 60+ aged ranged class, designed particularly with this in mind, where we focus more on the health benefits and less on the martial arts. Please watch this space, or enquire, if this is of interest to you. 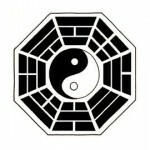 We are part of the Practical Tai Chi International School whose website can be found here http://www.taichichuan.co.uk/index.html.